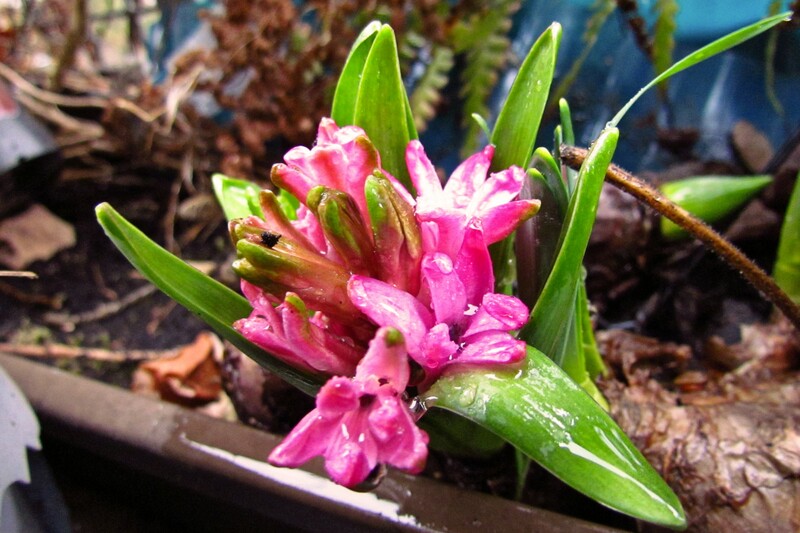 During a brief gap in today’s heavy storms I noticed a colourful spot on the balcony – some Hyacinth bulbs I had forgotten in a flowerbox had started to sprout! I rescued them and put them in a proper flowerpot. And while I took them inside to rescue them from the crazy weather, they still count as Balcony Flowers, so this post marks the beginning of another year of this series :-).